Did You Know that Widgets are older than Windows 3.1x? * Or that they are as Old as the Graphical User Interace? ** That's right! For more than 30 years, Widgets have been used to improve productivity on multiple computing platforms. Jotform is part of this great heritage - you can add a widget on your form to meet a specific function, to look better and to work better! Widgets are small, independent applications, working seamlessly with your form to deliver a powerful way of interacting with your form users. Go ahead and give them a try and share your experience with us. There are situations where the information being collected in a form is in grid format, and eventually needs to go to a spreadsheet. This widget adds a spreadsheet right on your form - allowing your users to enter values in designated cells. The widget allows you to configure default values for any cell - like column or row headings and fomulars. Go ahead and give the widget a try! 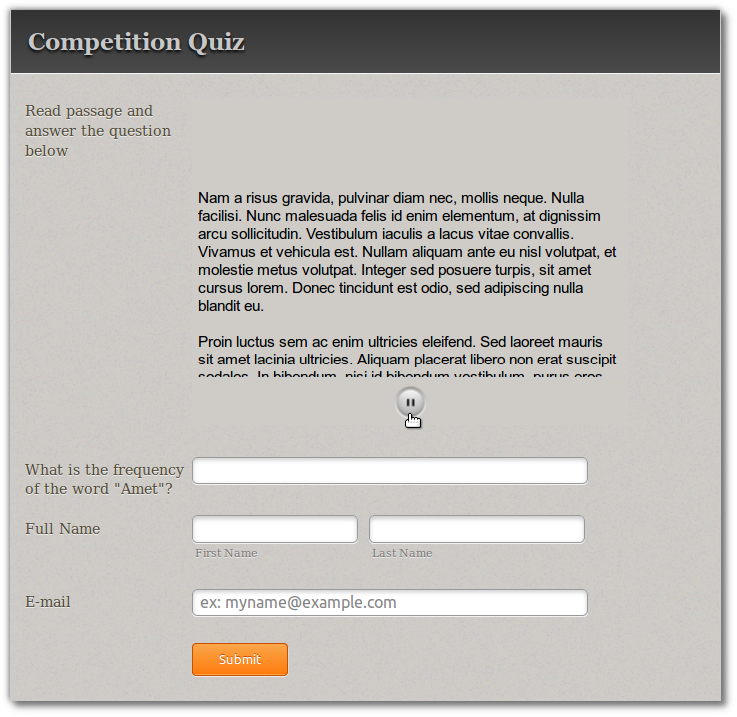 Give your form users a challenge they will find hard to beat! This widget adds a nimble Tic-Tac-Toe Game on your form -Which can be used as a Captcha field - or basically as a challenge question that your form users have to pass in order to get a reward. 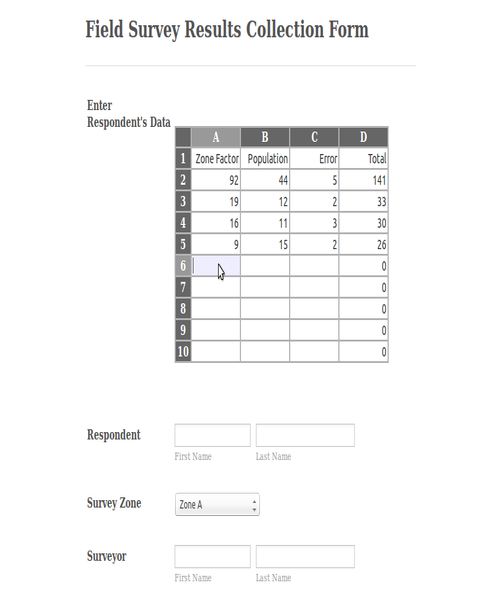 The widget delivers the results of the game when the form is submitted. 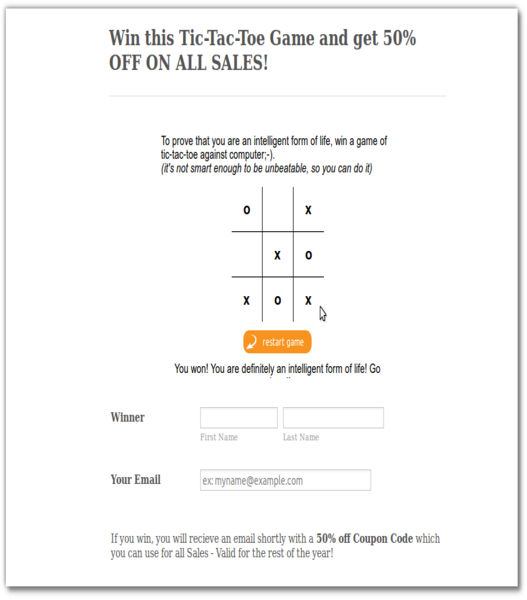 Click here to play a quick game on the demo. This widget is the ideal PDF Document Uploader. This is because it allows your users to preview all the pages on their document, and perhaps select the pages they want you to pay attention to. The widget is great for PDF documents that need review, assignments from your students, or basically any PDF upload field that you may need for your form. Give the demo a spin by clicking here. 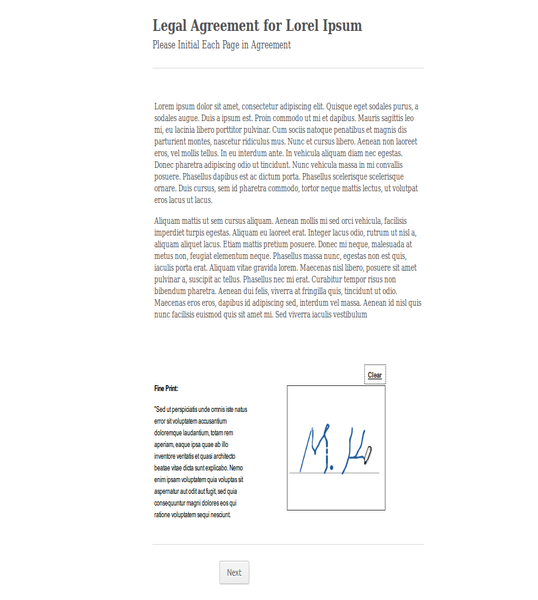 Let your form users initial every page of an electronic agreement form by hand using this widget. The widget adds a hand-writing pad onto your form so that your form users can draw their initials on the form in acknowledgement or agreement. Click here to get started. 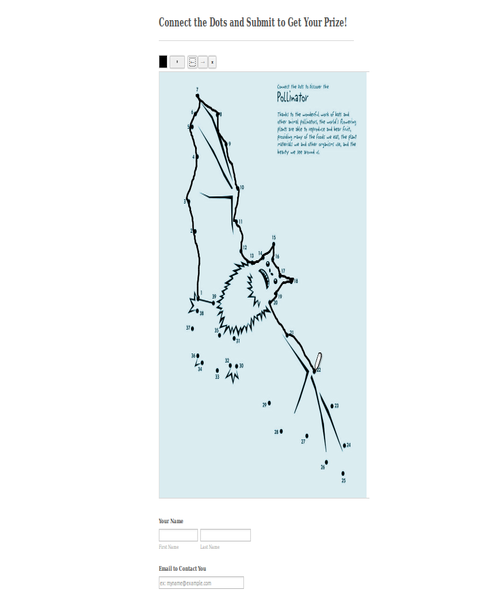 An awesome widget for basically any image that might need modificaiton by your form users, for example, a connect-the-dots puzzle, an illustration that needs highlighting among other uses. 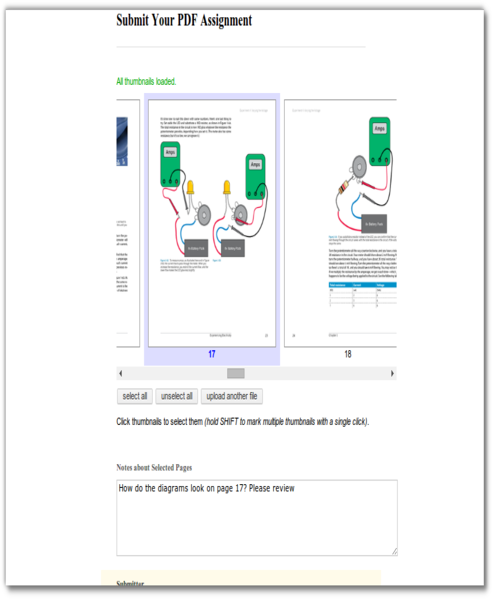 The widget allows you to upload an image to your form that your users can sketch, write or draw on and then submit the final result which will include the modifications they will have made. We've prepared a demonstration - please give it a try. Some of your form users may present false or incorrect email addresses, which will not be helful to you if you want to contact them. This widget makes sure that all the email addresses are real by verifying the validity of the email address with the form user. 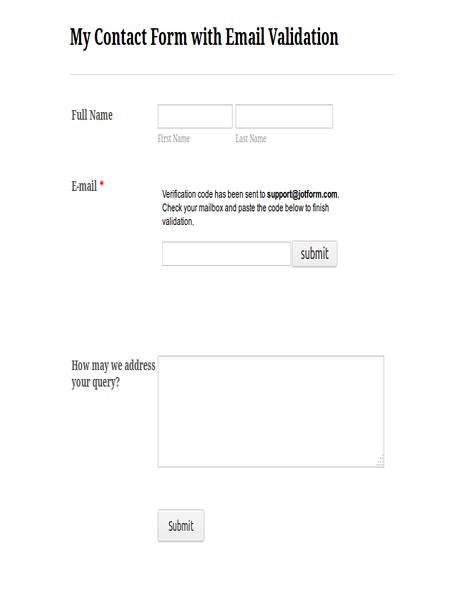 Once the user has verified their email address through a unique code which they will recieve on their email address, they are allowed to submit the form. Read more about the widget. 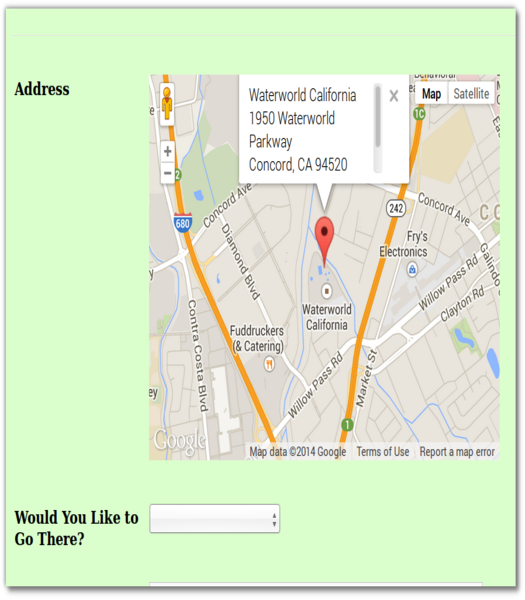 Do you want to display a map on your form for your user's to get directions to a location? This is the widget you are looking for. With the longitude and lattitude coordinates to the location you want to display, you can easily generate a map with an address tag for your form users to see. Click here to know how to add it to your form. If your form user is using a device that has GPS capability, this widget will source the location up-to an accuracy of 10m. Since the widget works in the background, all the user has to do is fill out the form, while the widget automatically gets the location from the GPS or from the IP address, and submit the location to you. 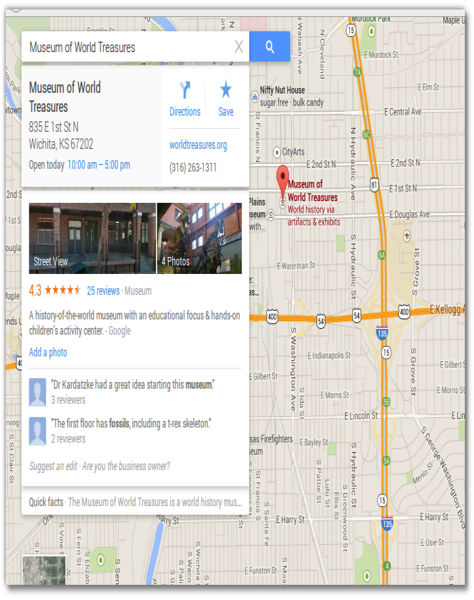 The widget generates a link to a Google Map® - pin-pointing the location of the form user. Click here to give it a try. Save vertical space on your form by adding a this widget - which will scroll automatically to display a large passage or when you have a lot of text to place on your form. Its perfect for forms with detailed instructions, terms and conditions that must be read, legal fine-print among other uses. Click here to give it a spin. Have you ever wondered how long your form users take to complete your form? That would be very useful information. This simple widget works in the background, and tracks the total time it takes for each of your users to open, fill and submit your form. Give the widget a test run here. That's all we have this week. We thank all our users for helping us build and improve our widgets every day, and we encourage you to check out what else we have in the widget gallery- see whether any of the widgets work for you - your feedback, as always, is greatly appreciated! **The History of Widgets, Switched, AOL Tech.